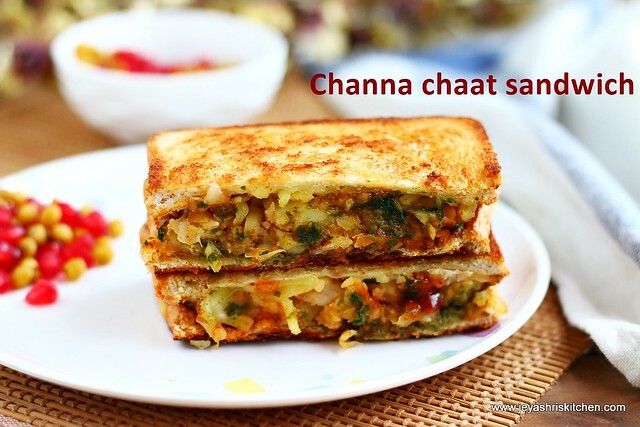 Aloo channa chaat sandwich is a kids friendly sandwich which includes cheese, chickpeas and chaat chutneys (used in Indian chaats). 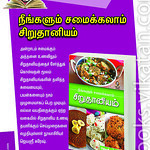 This recipe i have given for "Youth Kitchen" for Kungumam Thozi Jan edition. 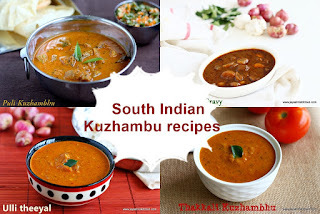 This recipe is a huge hit at my place and both the kids loved it a lot. It was quite filling for them. 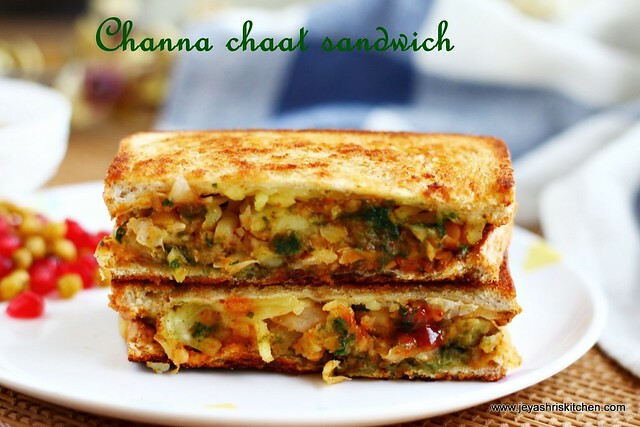 Even this same aloo channa chaat sandwich can be made for adults too without adding cheese. 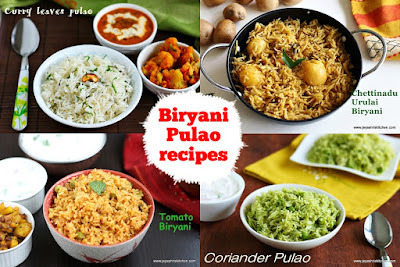 You may also like these recipes too. Soak the channa overnight or 10 hours and boil this in a pressure cooker along with potato for 4-5 whistles. Drain the water from channa and peel the skin of the potato. 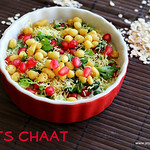 In a wide bowl add the cooked channa, potato, red chilli powder, amchoor powder, chaat masala and salt. Add finely chopped coriander leaves. With a potato masher mash the potato and slightly mash the channa and mix well. Our stuffing for the sandwich is ready. Take a bread and spread butter on one side of the bread. On the other side add little green chutney(keep the chutney thick) and sweet chutney. Spread them well. 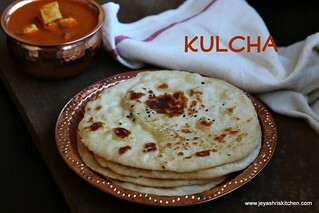 Add some grated cheese on this and spread some channa aloo mixture on the top of this. Spread some more cheese on the top. Spread butter on another bread and cover this stuffed bread with the buttered side facing upwards. You can either cook this in a sandwich maker or cook in a dosa tawa. 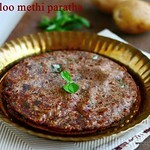 If cooking in a dosa pan, place the bread and once one side becomes golden brown, carefully flip it on the other side. I tried both the methods and both came out well. 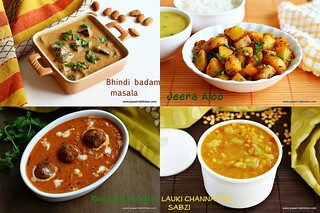 But i loved the tawa one as i wanted to click it in that way. You can reduce or cut the cheese in this recipe. Whole wheat bread can be used for the sandwich. Black channa can also be used to make this sandwich. Even rajma or green peas can be used too. wow! colourful and mouth watering! an interesting different kind of sandwich. Looks delicious! 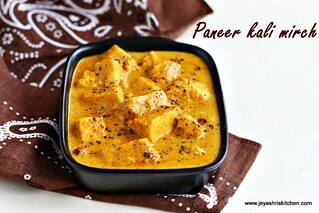 A great addition in taste of Indian Food. I tried this sandwich came out well. 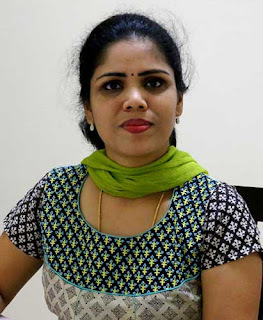 really very useful blog... Thanks a lot mam.